It didn’t take us long to realize we had a problem. Our first holiday season as parents was an initiation into overwhelm! My husband and I each have divorced and remarried parents. That means between us we have given our children eight grandparents and nine aunts and uncles (premarriage)! Our first born was the first grandchild in the family. To add extra complexity, my husband’s family celebrates Hanukkah and Christmas, while mine celebrates Christmas and the Winter Solstice. This equals two major gift-giving holidays, multiple celebrations, and extended family that numbers over twenty! Through that first overwhelming holiday season, we learned valuable lessons. Here are some pointers we gained from experience. 1. Start Young. This is the most important advice I can give you. Decide when your kids are still young–like preverbal young–how you would like to navigate the expectations around receiving holiday presents. As one of my parenting mentors told me many years ago, “What kids get they come to expect.” You get to decide what they get and in doing so, you also determine what your kids come to expect. Make decisions mindfully and thoughtfully or you will find yourself scratching your head when your kids are older wondering how come they expect SO much stuff! After our huge first year, we established that on Christmas our kids would get one gift from Santa, a single gift from my husband and me, and a stocking. Our sons (who are now 14 and 16) still expect this, and only this, on Christmas morning. 2. Organize extended family with the power of the wish list. After we learned that extended family loves to shower the grandkids with goodies, we started being proactive and strategic with our wish list for holiday presents. We knew we were lucky to have so many generous adults wanting to make the holidays special for our kids and excess was rampant. We started saying things like this: “Thank you for wanting to give our kids such beautiful gifts. This year we could really use your help with…” One year, we decided to build a play structure in our yard and asked the extended family to gift the boys with components of the structure as their holiday presents. One family member gave the slide, another the climbing wall grips, another the swings, another the play steering wheel and telescope, and another the monkey bars. The play yard was epic! The kids loved it, had gifts to open from each grandparent, the boys were excited by the entire building process that ensued soon after the holidays and played on this holiday gift for years (my 16-year-old was “hanging out” on the swings with a friend last week). 3. Simplify and Be Creative. With multiple holidays to celebrate, we had to simplify and be creative or go completely mad! We decided that Hanukkah would be the festival of lights AND books. Each night of Hanukkah, our boys would get a new book. The night we would celebrate with my husband’s family, they would select the book and give it to our kids. This not only helped to minimize the overabundance of plastic toys, it built the kids’ library and kept it fresh year to year. As a side bonus of this gift-giving ritual, our boys are avid readers who love books. 4. Think beyond the store-bought gift. The year we lived internationally, we had to think far outside the gift-giving box. We were living out of suitcases and spent Christmas in a hotel room in Ho Chi Minh City, Vietnam. Holiday presents had to be practical and portable. My husband and I filled the kids’ stockings that year with coupons. They included such options as “pick the restaurant,” “pick the movie,” and “one hour of extra screen time.” Our boys treasured these coupons of power and used them judiciously. 5. Practice saying “no.” Yes, you can say no and the holidays are a great time to do so! You can say no to plans as well as to your kids’ wants. Their wish list might be long or contain something big, but you can always say no. As a parent of two teens, I have a garage littered with reminders of times I wish I had said no. I wish I knew then what I know now. 6. Role model the value of meaningful experiences beyond gifts. Holidays are not just about gifts. For kids to learn this they have to SEE us actively engaging in OTHER things with at least as much vigor and attachment as we demonstrate around gift-giving. For the last decade, our family has participated in a charitable event on the morning of Christmas Eve. It is an important ritual that reminds us of our good fortune while also helping others. 7. Make holiday traditions meaningful and memorable. Creating (or continuing) family traditions can go a long way in solidifying holiday memories and meaning. For our family, traditions and the absolute adherence to those traditions, have become more important to our teens than to us! For our boys, Christmas Eve IS going to my parent’s home, eating raclette (don’t ask), and playing charades. 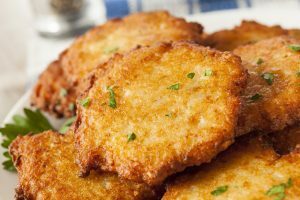 For them, Hanukkah is lighting the candles and eating latkes (OK…Hanukkah has also become the “book” holiday, but we did the best we could!). Thanksgiving is about sharing our gratitude, one by one around the table, creating and putting on a play in front of the fire after dinner with the other “kids” (the plays have changed over the years as the kids have grown, but the tradition is unchanged). I am certain when my kids are older, their memories of the holidays will be about these aspects. Rarely, if ever, will their memories be about the material gifts they received. 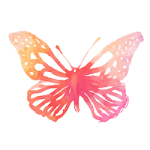 These are a few of the ideas we’ve incorporated into our family life with relative ease and joy. It hasn’t always been possible to maintain traditions to perfection, but we have done the best we can—going as far as finding raclette on Christmas Eve the year we were in Vietnam. We missed our family, but I can guarantee memories were made! The holiday season can be a truly overwhelming time for parents and kids alike. 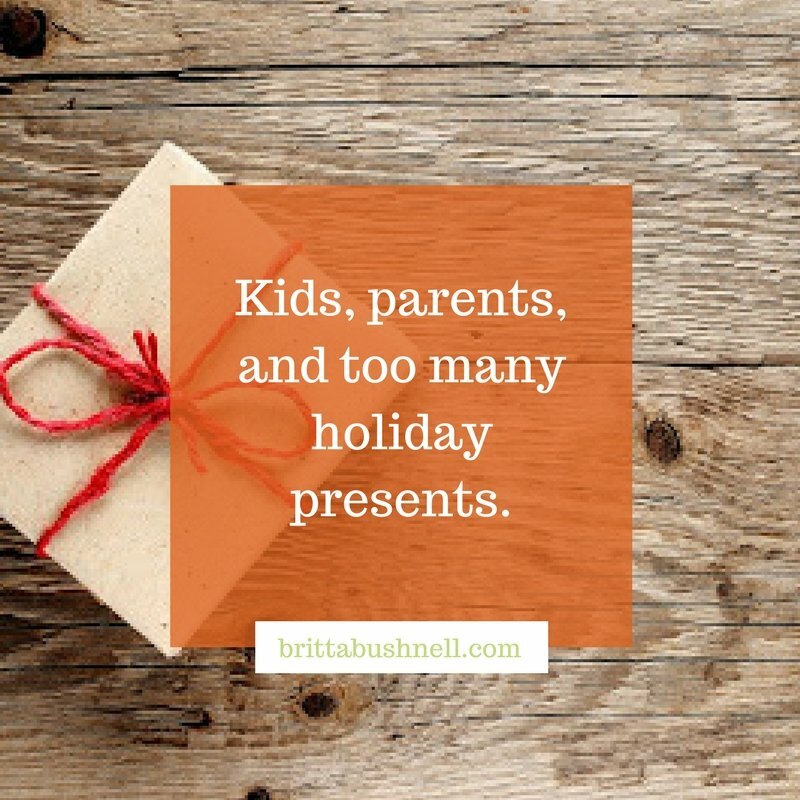 What do you do to minimize overwhelm from holiday presents and maximize meaningful connection during the holidays with your family?